There are hundreds of different Android rooting software programs available on the internet today, but only a few are worth your time and attention. If you’re a Nexus user, then you might have heard of a rooting solution called WugFresh. WugFresh is a Nexus root toolkit. It only works on Nexus devices, so it’s a niche program compared to other Android rooting software available today. Is WugFresh worth your time? After reviewing the program, we’ve found that it does an adequate job of rooting certain Nexus devices, although when compared to other rooting software available today, it’s not nearly as useful or user-friendly. WugFresh exploits a hole in the Nexus operating system (which is the ‘purest version of Android) that allows users to gain access to the root files of the device by running a special script. This is how all rooting software works, and WugFresh is no different in that respect. Specifically, WugFresh alters the firmware of your Nexus. 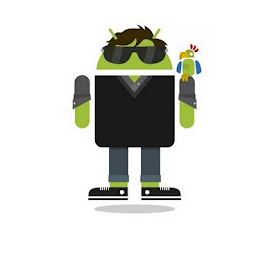 It upgrades that firmware from something called ‘Yakjuxw’ to ‘Yakju’, which allows rooted Android users to continue getting Google updates after rooting their device. To make matters complicated, the root only works on certain types of the above devices. 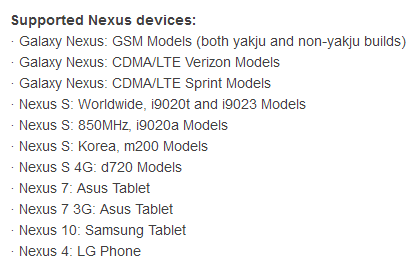 Verizon, Sprint, and GSM models of the Galaxy Nexus are accepted, but other Galaxy Nexus models are not. WugFresh does a good job of rooting whichever Nexus device you own. It’s functionally sound. However, where WugFresh falters is its user-interface and troubleshooting capacity. WugFresh isn’t the most user-friendly Android rooting program available today, and judging by the sheer number of FAQs and tech questions on the WugFresh website, we’re not the only users who have had problems with it. When a rooting program is technically complicated, it’s bad news for users. Bricking a device can be devastating. You might never get your Android to work again. And for those who just spent several hundred dollars on a new smartphone or tablet, bricking can certainly ruin your day. In most cases, WugFresh won’t brick your Android smartphone or tablet. However, users have encountered dozens of errors during the rooting process, and when errors occur, WugFresh doesn’t have the troubleshooting framework for solving user complaints and problems. WugFresh is designed to root Nexus devices. And when users follow instructions perfectly, WugFresh does a good job of rooting Nexus Android devices. But when compared to the competition available online today, WugFresh isn’t nearly as good as some users may think. While other programs can easily root any Android device in minutes, WugFresh is limited to a choice group of Android users. And with its troubleshooting problems and technical difficulties, it’s difficult to recommend WugFresh – especially if you don’t like reading through pages of documentation and instructions before using your rooted Android. For a better solution, download OneClickRoot today!